The Sega and Super Nintendo Classic Earthworm Jim will be out this Wednesday for 800 MSP. This awesome game has great gameplay, and music from Tommy Tallarico. If you never played this game before, you're gonna be in for a treat especially since this version features 4-player co-op. 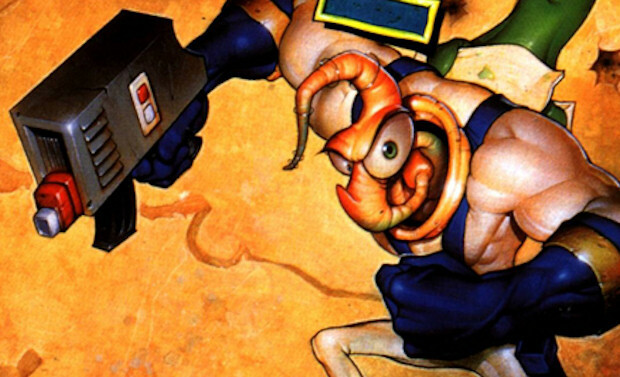 "Rediscover the grooviest action game of all time in full hi-def glory with Earthworm Jim HD! For the first time, grab friends and combine your wormy powers in four-player co-op locally or online. Explore all the original levels, experience wild gameplay, and rock to the remastered cult soundtrack. There's even more to discover with brand new enemies to blast into pieces and never-before-seen locations. Now that's groooovy!"